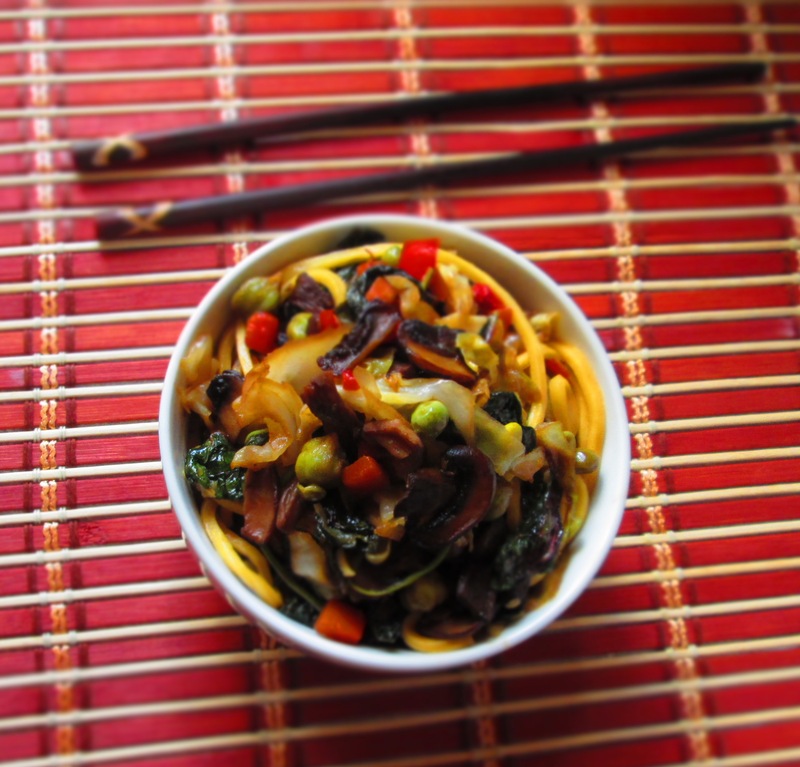 This week, I’d like to share my recipe for Chinese Noodle Stir-Fry with Chickpeas. There’s nothing like a bowl of noodles, no matter what type of cuisine you’re cooking. It’s comforting and satisfying with layers of flavors and textures. The great thing about noodles is that you can a have them with anything and add anything to them. 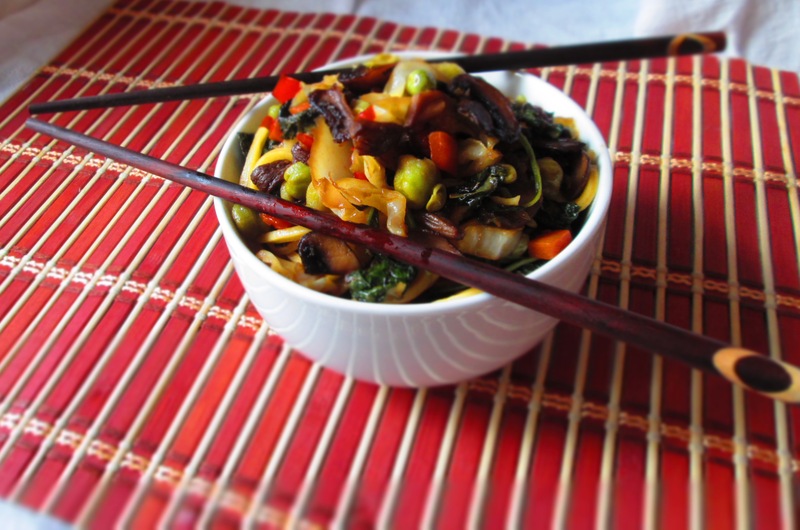 One of my favorite way to have noodles is stir-fried with lots of vegetables. I particularly like cabbage, so I start with that and build from there. I also had some fresh chickpeas and green peas that I had shelled from their pods and needed to use them, so I threw those in as well. Green peas are often found in stir-fries and Asian noodle dishes, but chickpeas not so much. I found them to work beautifully in a stir-fry, especially since I’m a little clumsy with chopsticks and was able to pick up the chickpeas fairly well. Their meaty, firm texture also made a nice contrast to the tender noodles and vegetables. So, here’s the recipes. Enjoy! 1. Heat coconut oil in a wide skillet. Add the mushrooms and sauté, stirring often, until golden brown, about 15 minutes. 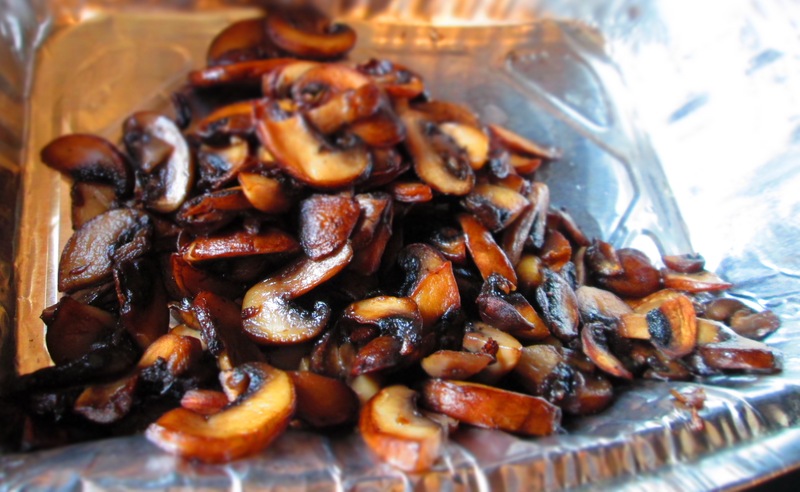 Remove mushrooms with a slotted spoon and set aside. 2. Meanwhile, cook noodles according to package directions. 3. In same pan, add 1 teaspoon sesame oil in a wok or large. Add garlic and cook until fragrant, 1 or 2 minutes. 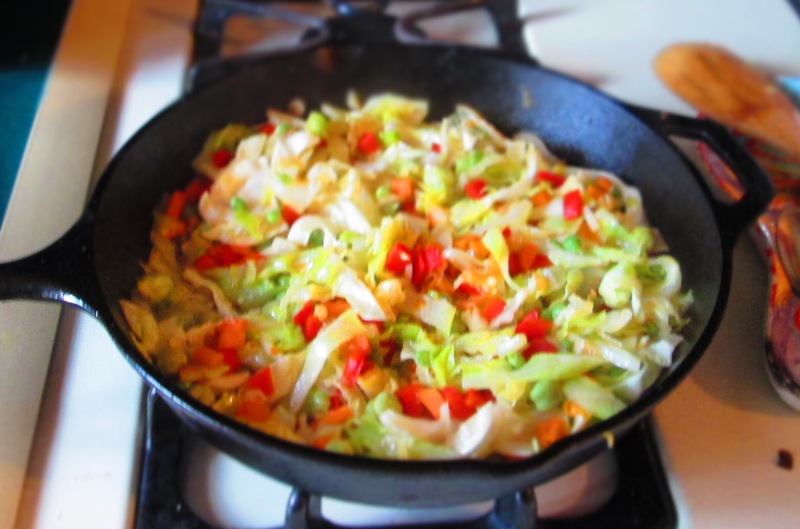 Add cabbage, carrot, and pepper and stir-fry until crisp-tender, about 8 to 10 minutes. 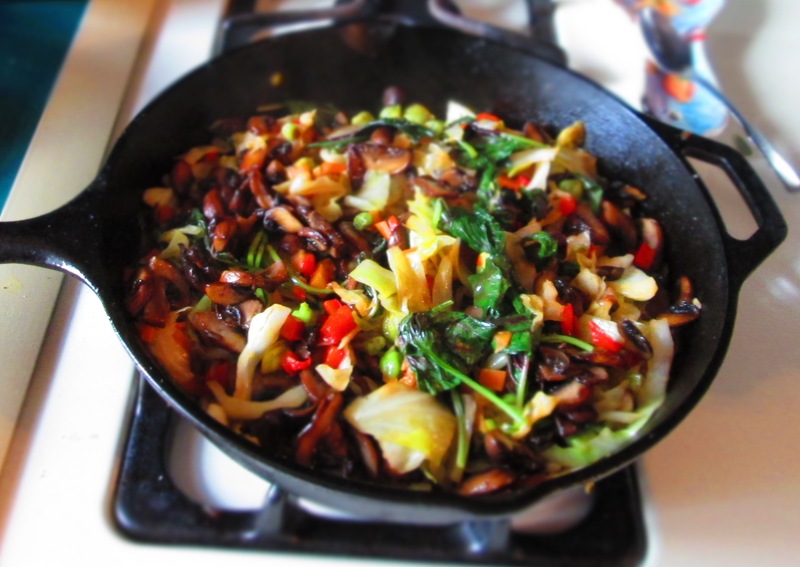 Add beans, peas, mushrooms, and soy sauce and continue stir-frying another 2 to 3 minutes. 4. 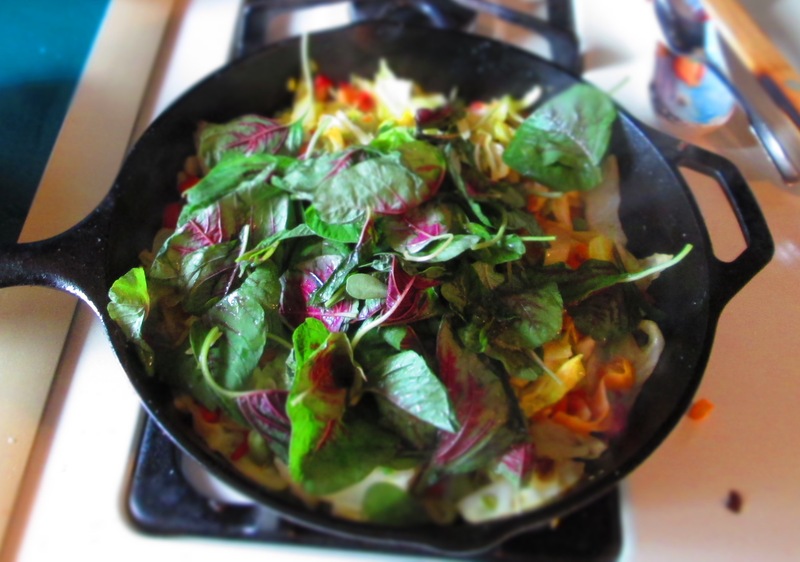 Add greens cook until wilted. Stir in remaining sesame oil. 5. Add the cooked noodles and stir to combine. Divide between 2 bowls and garnish with scallions. Categories: Ethnic Dishes, Healthy eating, Noodles, Recipes, Savory Cooking, Uncategorized, Vegan, Vegetables, Vegetarian | Tags: noodles, stir-fry, vegetables, vegetarian | Permalink. I never though to add chickpeas to asian dishes – yum! I know, me either! But it really worked.